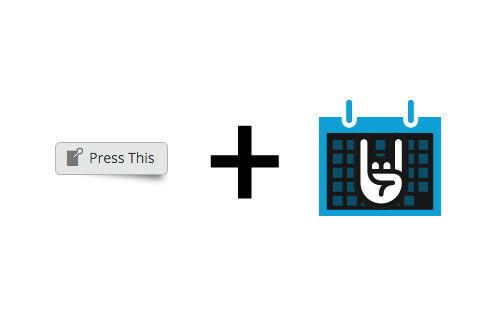 This plugin is designed to modify the Press This bookmarklet for WordPress, so that a blog contributor can “Press” posts easily to create events in their website with The Events Calendar plugin by Modern Tribe. This will create posts that are not the default “blog post” type, but are “tribe_events” which happens to be the Custom Post Type Name used in The Events Calendar. There are instructions below on how to modify the plugin or raw php code (for developers only). If you need help with the integration, please use the contact form on the home page. If you are using the Custom Post Type UI Plugin, you can find your post type in the settings page for the CPT UI plugin. If you are using the CPT UI plugin, you may find the post type name (slug) in the settings area for that plugin. This page is at http://domain.com/wp-admin/admin.php?page=cptui_manage_post_types&action=edit … replacing domain.com with your domain name. 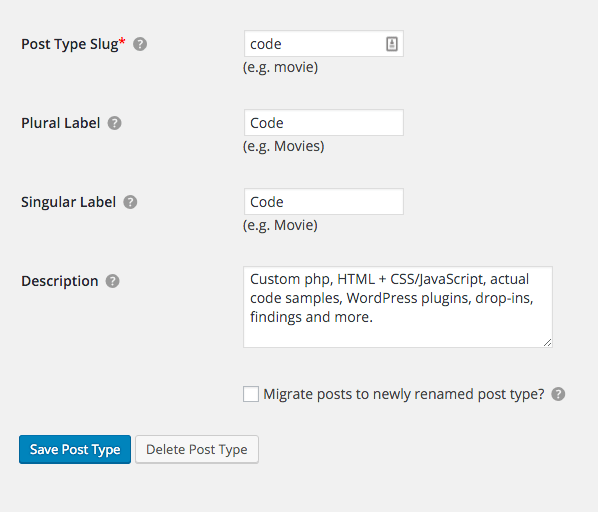 This means that you can modify the plugin and replace with your custom post type name. The raw php code for the plugin is below. Any time you edit functions.php, really weird stuff can happen. Please reserve using this code if you are familiar with editing themes, and make sure to keep a backup so you can always restore if possible. Notes: With the newest verisions of WordPress and the Firefox web browser, there may be a workaround needed to get this to work correctly. Read more about Press This on the WordPress Codex. If you are unsure what the actual post type name is, or how to modify this to suit your needs, please use the contact form on the homepage to request a quote on a solution to meet your needs.